Do you care about the appearance of your property? Do you want a healthy well-cared for landscape? Landscape maintenance can be a full-time job if you have a large property and even if you have a much smaller property it's still a time consuming task that most people just don't want to do. Whenever you see a beautifully landscaped property there is usually an entire team of individuals responsible for making it look so great. Why Do You Need A Professional Landscape Maintenance Company? Do you just not have the time to care for your landscaping? Do you have high-visibility property and want it to look amazing? Are you unhappy with your current landscape or property maintenance company? Are you trying to restore the appearance of a neglected property? Are you from out-of-town and need someone local to care for your property? Silver Lining Landscaping is a landscaping company based out of Brownsburg, Indiana and serving the surrounding area. We specialize in property maintenance and landscape care on large residential properties, residential developments such as condos, townhomes, HOA's, and all types of commercial properties too. 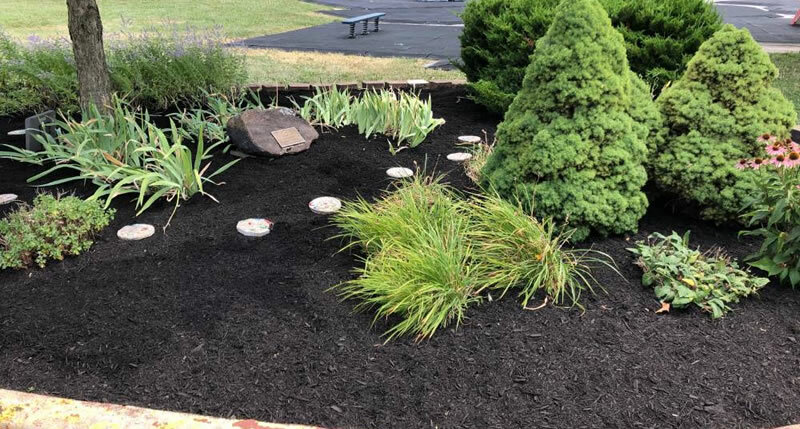 Our landscape maintenance services are custom tailored to our clients properties and can include lawn care, garden bed maintenance, tree and shrub maintenance, hedge pruning, mulch installation, and more. The Silver Lining Landscaping team is experienced, knowledgeable, and committed to excellence when it comes to our property maintenance services and regardless of the size of your property we have the professional equipment and the experienced staff to keep your property healthy, safe, and looking great. Whether you need to maintain your commercial landscape, a large landscape for a residential development or the care of your private estate we are happy to help. If you’d like to schedule a consultation with us to discuss your landscape maintenance needs we’d be happy to meet with you. Please call (317) 902-5411 or fill out our online form and we’ll get right back to you.